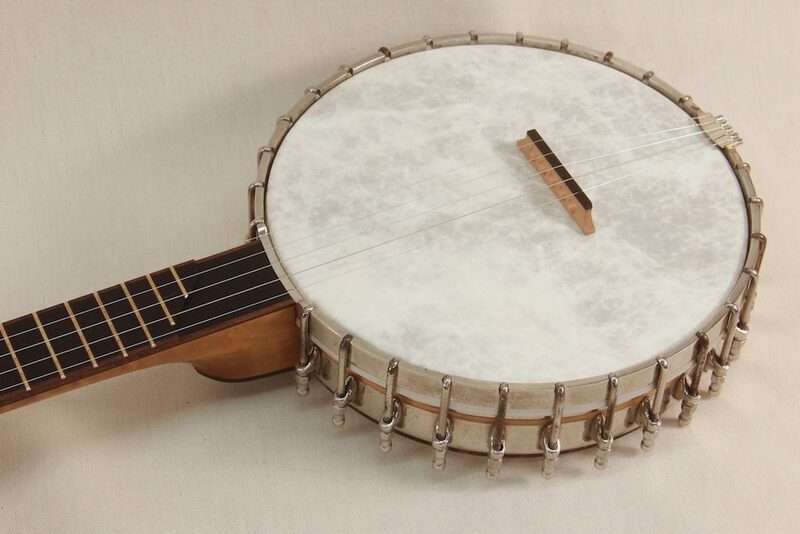 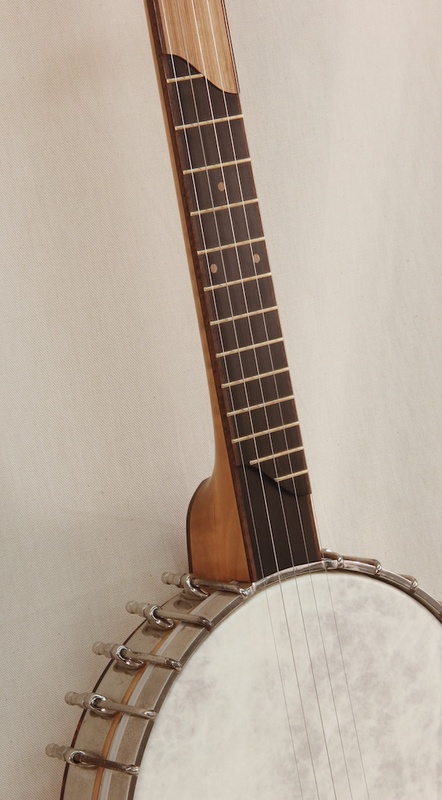 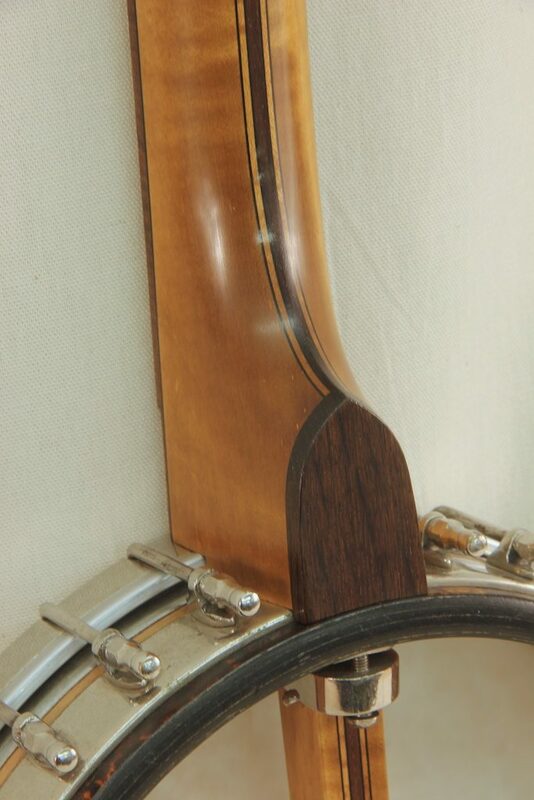 This Vega pot most likely started out as a Vega Whyte Laydie tenor or banjolin. 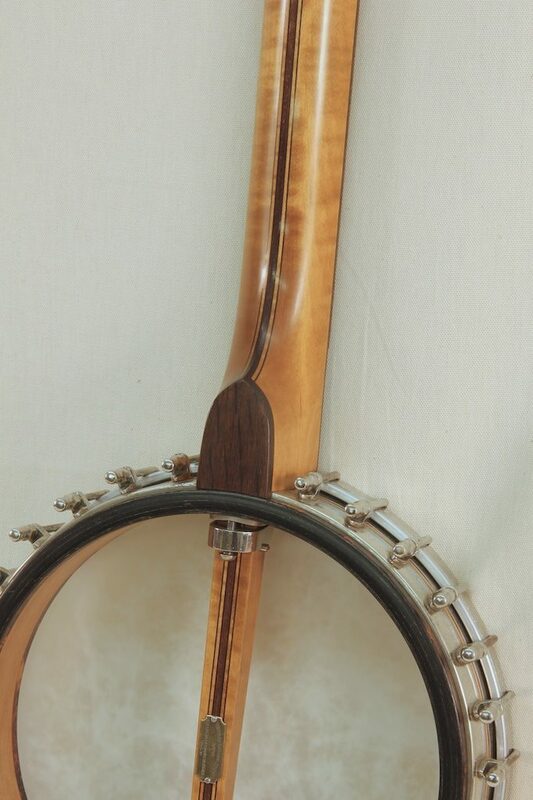 The owner of the pot and I put our heads together and from his vision and love of contrasting woods we came up with this unique neck. 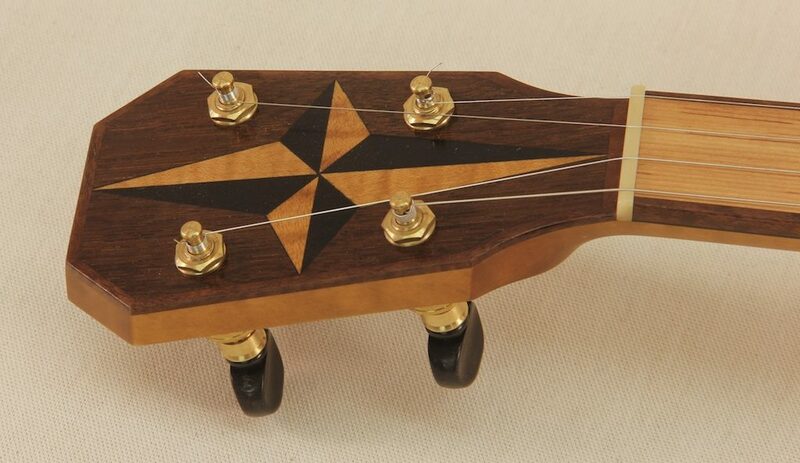 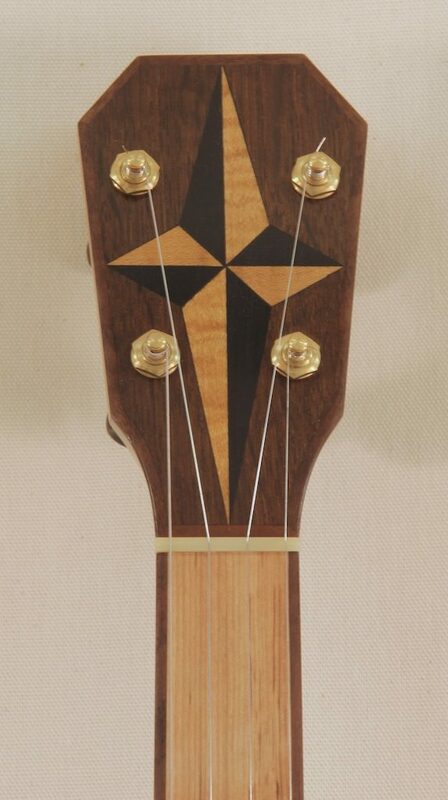 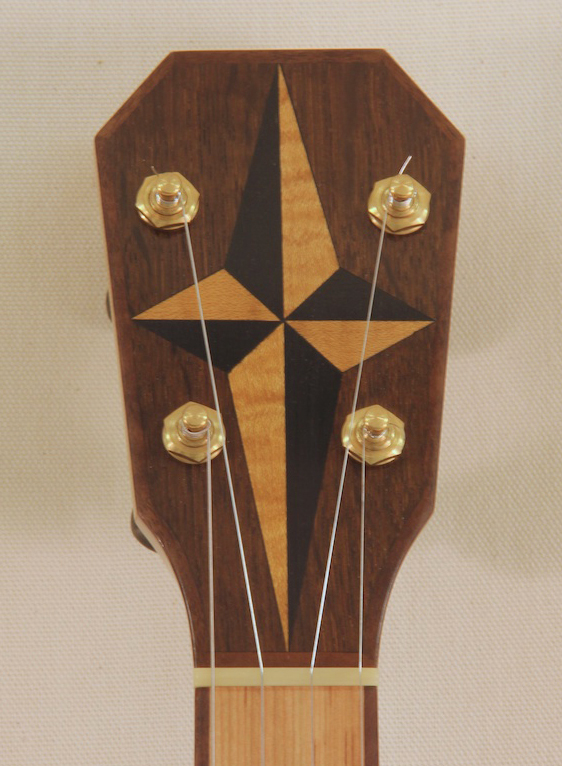 The woods we used were a lightly figured soft maple for the neck, Ironwood for the fretless overlay and dot inlays, an ebony fingerboard, curly claro walnut for binding, peruvian walnut, ebony and maple for the center lamination of the neck, ebony and maple for the nautical star peghead inlay and fumed english oak for the peghead and heel overlay. 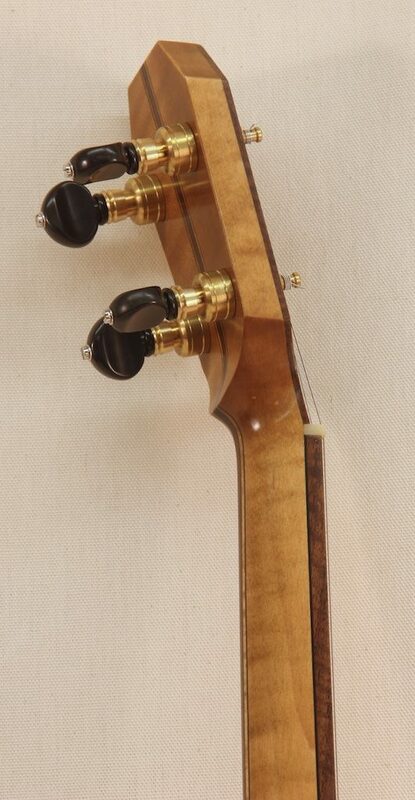 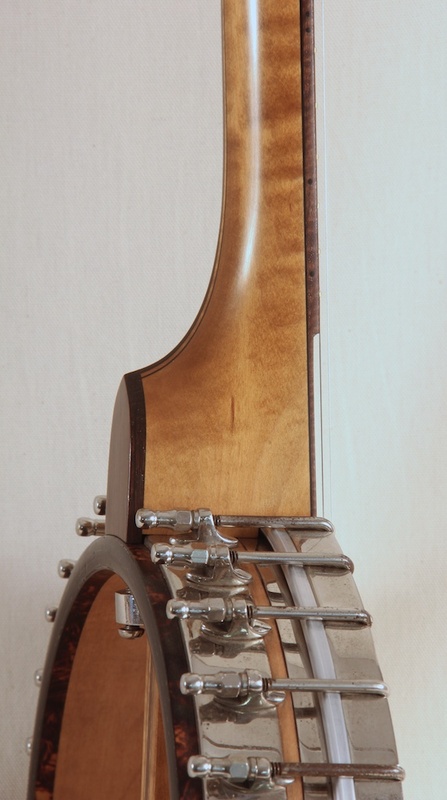 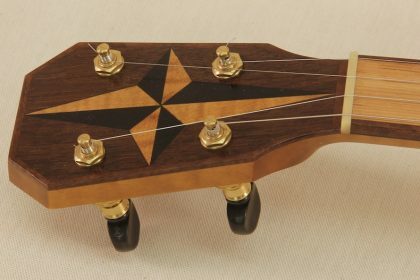 The combinations create a very unique looking neck with woods that compliment each other nicely while creating an eye catching contrast. 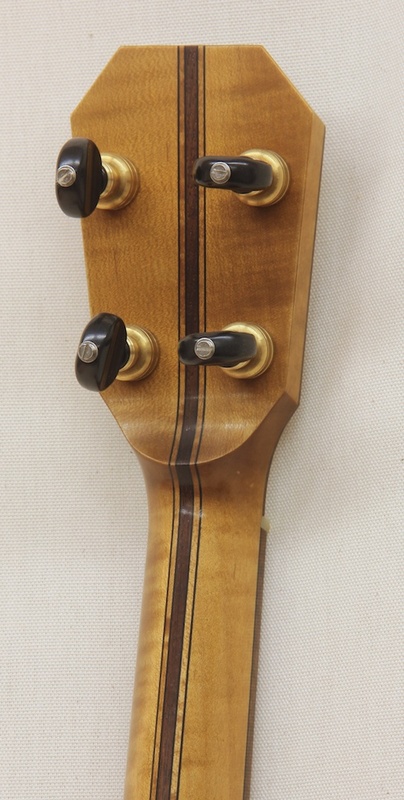 The completely bound coffin peghead shape was inspired by a mid to late 19th century minstrel banjo peghead with marquetry inlays that had binding continuing across the peghead above the nut, a small but challenging detail that created a unique look.